Holidays to the Caribbean have become very popular and there can be no more variety anywhere than you will find there. 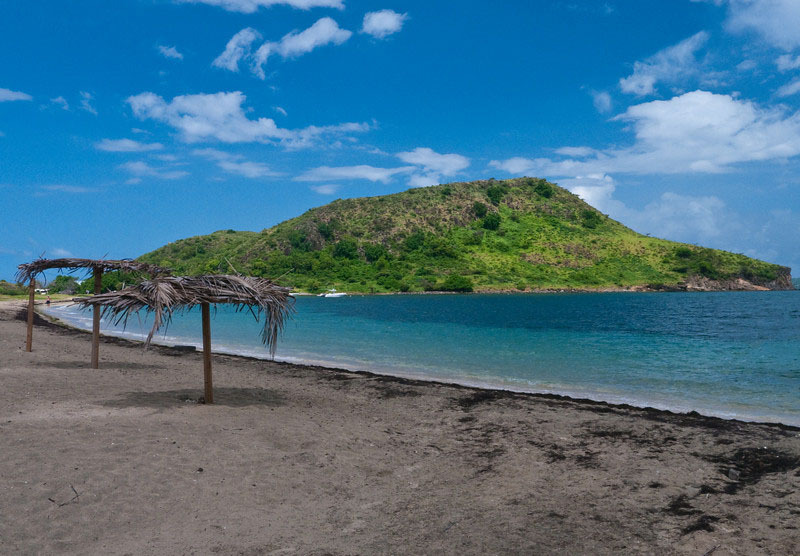 In addition to the many countries that you will find there, there are tropical island paradises to enjoy along with a rich cultural mix of European colonialists, the descendants of African slaves and native Indian tribes. The Caribbean culture is moulded from its geography, and all of its aspects can be associated with the climate and the landscape. Here we will look at just 10 great things to do in the Caribbean, but these are just a taster of what is on offer there. The beauty of all this variety is that you can create your own itinerary or alternatively you can choose from the large range of all inclusive Caribbean holidays that are available. The only difficulty with relaxing on the beach in the Caribbean is choosing which beach to relax on. There are so many great beach destinations to choose from that it is impossible to advise you which of them are the best, but it doesn’t really matter. Relax in the sun, play in the white sands, swim in the warm clear seas, and enjoy chilled sangria or a rum cocktail; just forget all your cares and worries, and chill! Now you are feeling a little more energetic following your relaxation on the beach, why not get a little more active and try diving or snorkelling. There are no waters like those of the Caribbean for these activities; there is such a variety of sea life and the waters are so clear. Whatever your level of experience might be you will find diving schools that will take you out. If you prefer snorkelling to diving, then just float on the surface and watch the magic corals below. 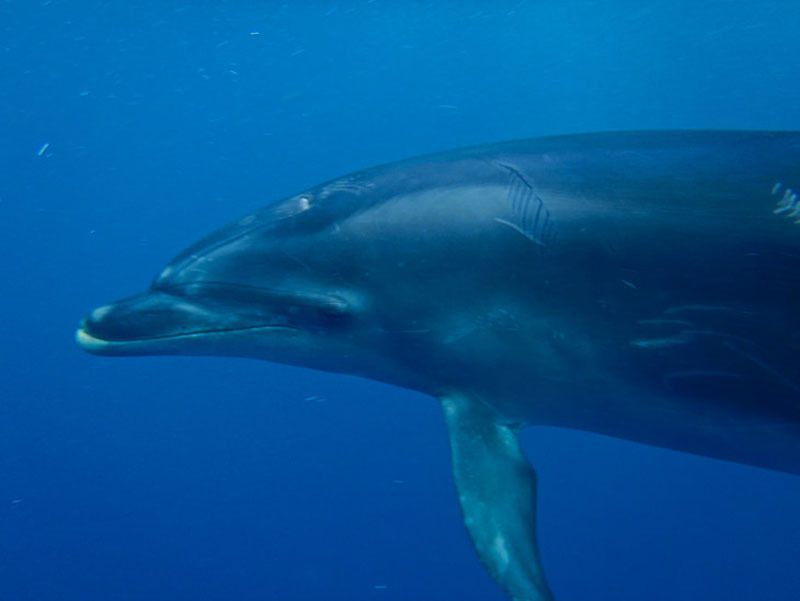 There is an interesting affinity between human beings and dolphins and there are many stories of dolphins saving the lives of swimmers who have attracted the attention of predatory sharks. 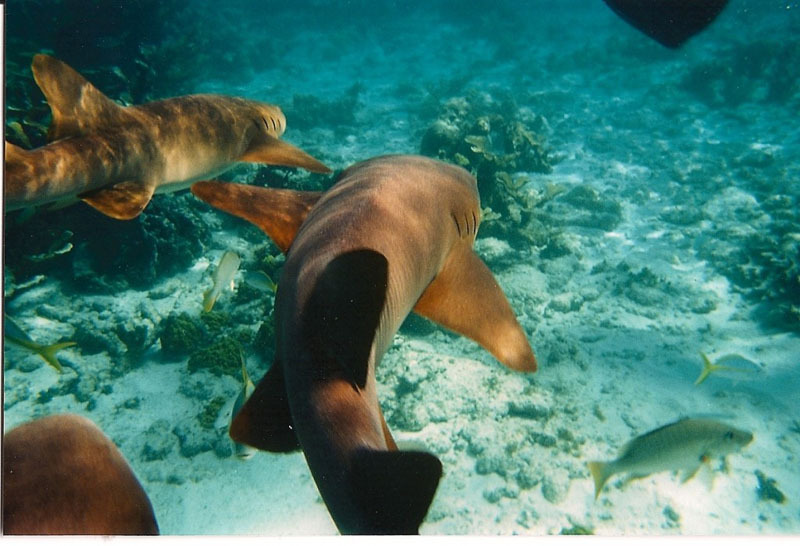 In the Caribbean there is plenty of opportunity to get up close and personal and relate to these wonderful sea mammals. Swimming with dolphins is also supposed to be good for the soul, so why not give it a go? 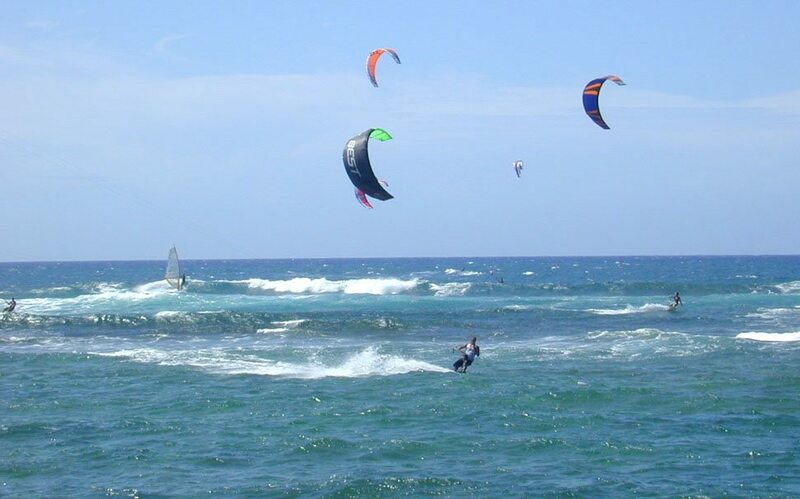 Kite surfing is a spectacular sport and the basics can be learned in just a day. 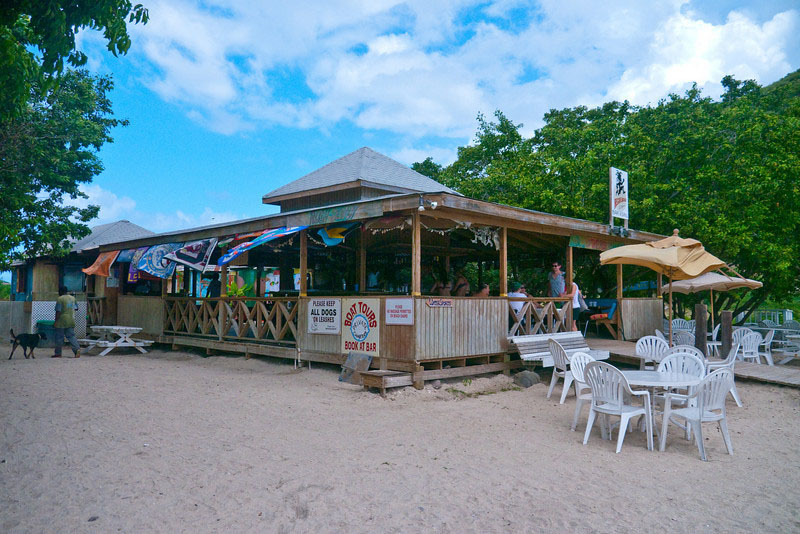 There are many kitesurfing schools throughout the Bahamas where the conditions are world class. If kite surfing isn’t your form of extreme sport, you can always do windsurfing instead, again in the perfect setting of the Bahamas. This is something that is very high on the list for Dave and I, we saw it in Thailand and Vietnam and look forward to learning it soon! If those dolphins were a little too tame for you, then why not up the ante and go diving with the sharks in the Bahamas? It is not for everyone as you need to be an experienced diver. You also need a reasonable amount of courage; these are not basking sharks but real man eaters; an experience not to be missed. If you are in need of an adrenaline rush, then try a trip on a high speed powerboat to tour the islands at speeds of over 40 mph and feel the wind whipping your hair as you cut through the crystal clear waters. 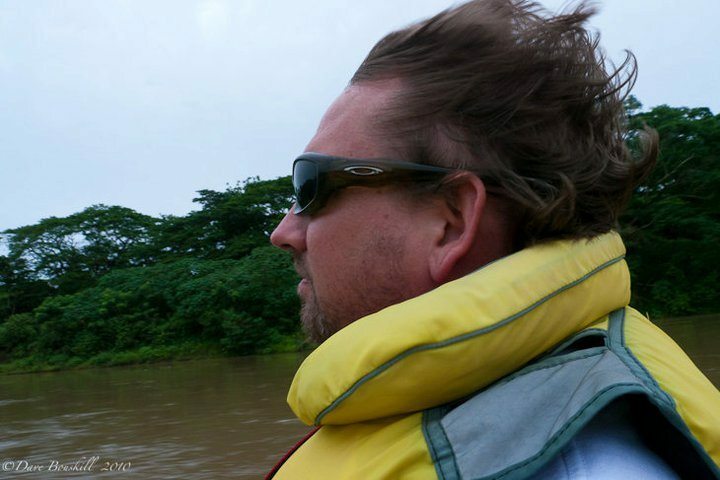 You can take a standard trip or you can charter your own speedboat and crew for a day. Bob Marley may be gone from Jamaica but the beat goes on. Reggae was invented in Jamaica and its distinctive beat pervades the Jamaican culture. Listen to Reggae in Jamaica and tune in to the heartbeat of the country. Reggae keeps on jammin' all over the Caribbean as well. 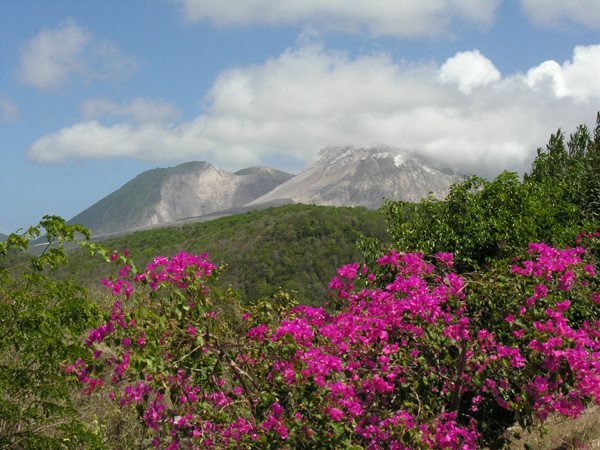 Montserrat is a spectacular island in itself, but a special feature is the chance to view an active volcano. The volcano erupted in 1995 after lying dormant for thousands of years and part of the island is buried under volcanic ash. It is now monitored from an observatory which you are able to visit and you can take boat tours around the volcano. The Caribbean is filled with lush tropical rainforests. 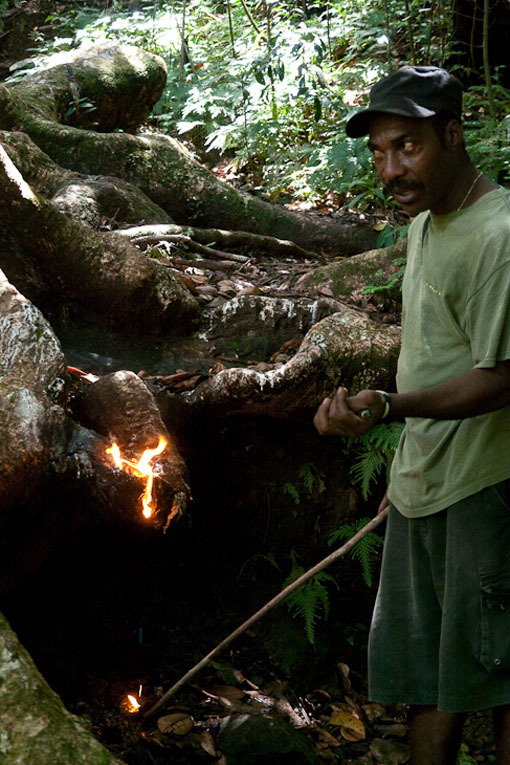 A guided hike into the jungle will give you the opportunity to learn about medicinal plants and many uses of nature in daily life. Discover secluded waterfalls, dormant volcanoes, old plantations and private beaches. The people of the Caribbean worked in harmony with their surroundings and used everything around them in their daily life. 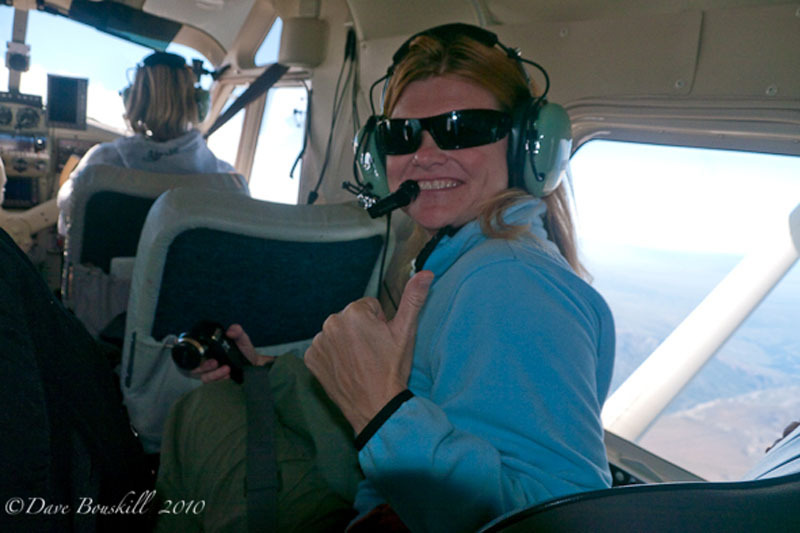 Seaplanes are a great way of getting round the islands and a seaplane trip need not be too expensive. Book up a few island hops and visit some of the more remote ones. If you can afford it why not hire a seaplane and pilot for the day and really find the places that are off the usual tourist beat. As we said at the start, these are just a few of the many great activities that you can include in a Caribbean holiday. Do you have any suggestions of other great things to do in the Caribbean? What are your favourite destinations, adventures and activities? I can certainly think of 10 more! 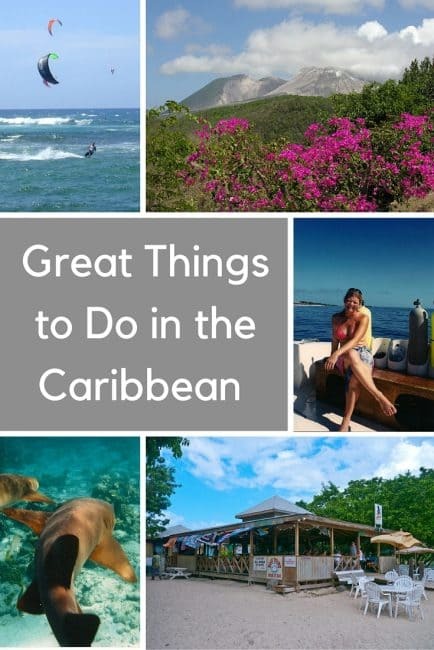 10 Responses to "10 Great Things to do in the Caribbean"
The Caribbean is the perfect place for anyone who loves exploring the outdoors – whether it’s in the jungle or under the sea. http://www.thetopvillas.com have some luxury villas here in the Caribbean. The perfect spot to relax after a day exploring the Caribbean. Great tips! I visit the Caribbean each fall, this post make me wish my trip was a little sooner! I hear you Elle, I could go for some serious beach time right now. In all my years of residing in America, I never once made it to the Caribbean (silly). This post really makes me want to go, though! 😉 Is swimming with dolphins good for the soul? I actually got to do this recently over in Western Australia, and it was a completely surreal experience. Hi Brooke, isn’t that the way. We never seem to visit what’s right in our own back yard. We haven’t made it to Eastern Canada yet and we really should. We definitely have to go back. Yes, swimming with dolphins is amazing for the soul. We’ve had the opportunity to do it twice. Both times were with wild dolphins that chose to swim with us. I would never do it in an enclosed cage like many places in the Caribbean and Mexico, but to swim with them in open water is like nothing else on earth.